4G mobile vs 5G mobile: How they are similar and different? Mobile network technology is seeing a rapid change over a few decades. Following 2G and 3G, have come 4G and 5G into use. The integration of Internet of Things (IoT) comes from both 4G and 5G technologies making the wireless network web hard to understand. Here read the what are main differences and similarities in 4G mobile vs 5G mobile. Although 4G and 5G look similar, there are places where they differ. Here we present you what 4G mobile vs 5G mobile are, where the two worlds intersect and where they are at variance. 4G and Long Term Evolution (LTE) are one and the same while LTE is just an evolution of the preceding 3G wireless network. LTE is advanced to 3G in the fact that there is a shift from hybrid data and voice networks to a data-only IP network. LTE achieves higher data throughput than 3G by two key technologies, MIMO and OFDM. Orthogonal frequency division multiplex (OFDM) is a transmission technique that uses a large number of closely-spaced carriers that are modulated with low data rates. 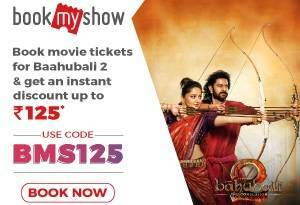 It permits multiple users to use the same channel for transmission at different frequencies thus enabling higher data rate. MIMO, Multiple Input Multiple Output, as the name suggests uses multiple antennas at the transmitter and receiver to improve the data throughput and spectral efficiency. It uses complex digital signal processing for this setup of multiple data streams on the same channel. The early LTE networks support 2×2 MIMO in both the downlink and uplink. LTE uses two types of duplex operation: Frequency Division Duplex (FDD) and Time Division Duplex (TDD). So many countries and governments have rushed to auction the frequency spectrum of LTE to make money and hence the spectrum is now divided into a large number of 44 bands. Based on the theoretical speed of the LTE network, it is classified into so many categories. These speeds are used to compare the maximum potential of the LTE network under ideal conditions. Channel Aggregation is a transmission scheme that allows twenty channels from different frequency spectrums to combine into a single data channel. Increased MIMO means that the configuration of MIMO is increased to 8X8 antennas to increase the number of radio streams using the beamsteering technique. CoMP, also known as cooperative MIMO, allows mobile devices to send and receive radio signals from multiple cells to reduce interference from other cells and ensure optimum performance at the cell edges. The relay station is a base station that uses multi hop communication at the cell edges to receive a poor strength signal and retransmit it by enhancing its quality. HetNet is a multilayered system of overlapping big and small cells to remove cheap bandwidth. HetNet is a complex cellular architecture as multiple small cells in the network add many entry points to the cellular system. LTE-A creates a bridge between 4G mobile vs 5G mobile, while HetNet combines LTE-A and 5G pointing out that 5G wireless network is just an advancement of LTE-A. The main module behind the working of 5G wireless network is to expand the idea of small cell network to a whole new level and create a super dense network that will put tiny cells in every room. 5G uses Massive MIMO technology, a large array of radiating elements that extends the antenna matrix to a new level—16×16 to 256×256 MIMO—and takes a leap of faith in wireless network speed and coverage. Below 5GHz, LTE-A is the foundation for 5G Radio Access Network (RAN), while between 6 GHz and 100 GHz, new technologies were explored in parallel. 4G has come into usage while 5G is still under theory and research. Reports say that the 5G technology will target 2020 as the era for deployment. Unlike 4G, 5G will not be a monolithic entity as it will be designed to support multiple devices such as the IoT, connected wearables, augmented reality and immersive gaming at multiple data rates. 4G wireless technology focuses on using raw bandwidth, while 5G is aiming on providing pervasive connectivity to lay grounds for fast and resilient access to the Internet users. 5G will use sophisticated network architecture like cloud RAN and virtual RAN. 5G will lead the use of cognitive radio techniques to allow the infrastructure to automatically decide about the type of channel to be offered. Differentiate between mobile and fixed objects, and adapt to conditions at a given time. In other words, 5G networks will be able to serve the industrial Internet and Facebook apps at the same time. 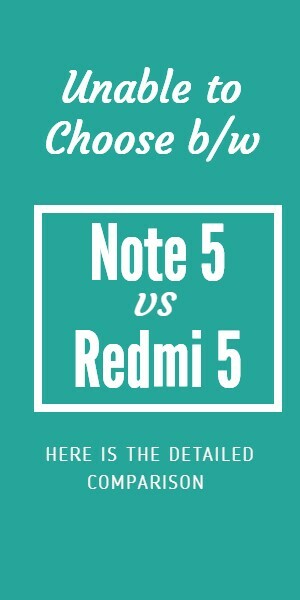 Next ArticleLenovo Killer Note 5 vs Redmi Note 3: Which one is better..?